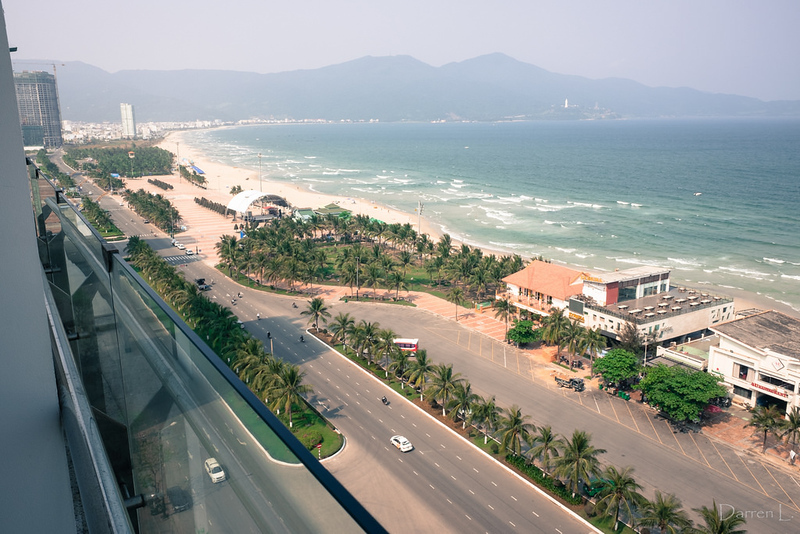 Vietnam’s third largest city, Da Nang has a surprising amount to offer. This mid-sized city is one of Vietnam’s fastest growing areas, home to a great variety of hotels and several relaxing beach resorts. Until recently, most travellers viewed Da Nang as a transit point or, at most, a quick stopover on the way to Hue or Hoi An. Today, Da Nang is a fun destination that’s worth a night or two of your trip for its excellent beaches, spas and places to eat. 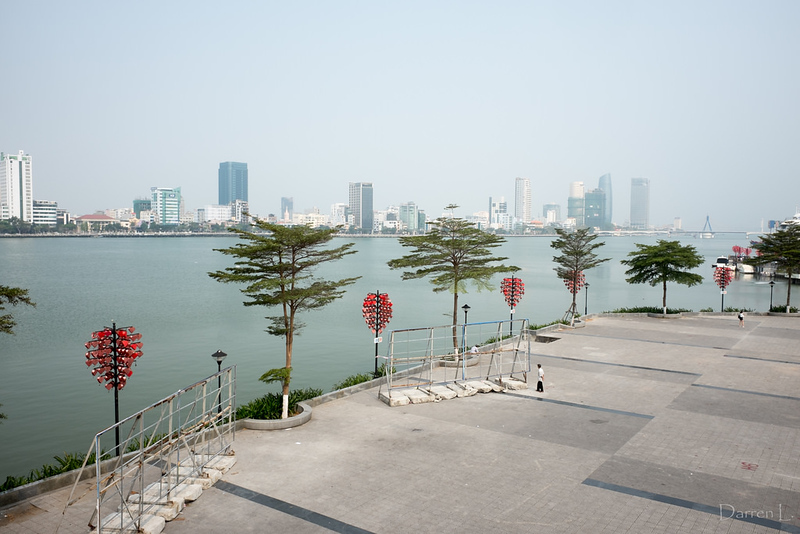 One of the most startling realities of life in Da Nang is how rapidly the city is changing. If you’ve previously visited Da Nang, it’s worth returning if only to see how many new bridges, towers and other developments have been completed since you left. If you’re flying here from Hanoi or Ho Chi Minh City on the way to Hoi An or Hue, you’ll find a lot to enjoy by staying for a night or two. 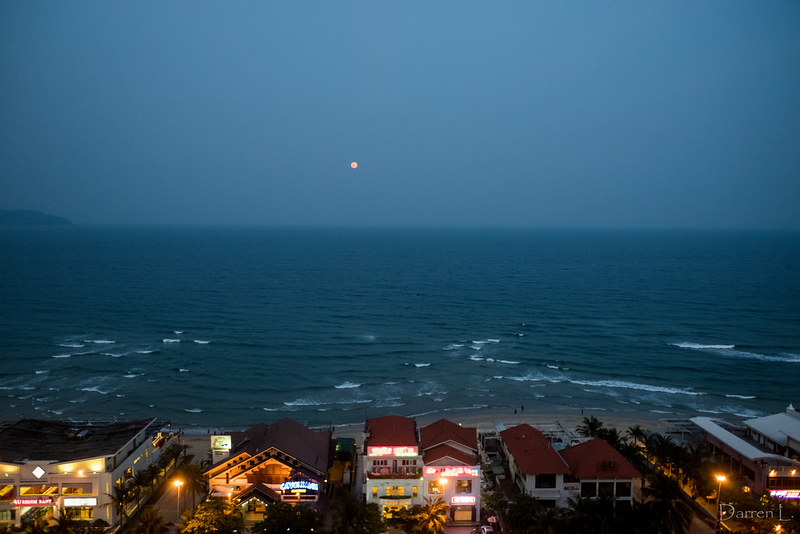 Since Da Nang is now connected to international cities like Bangkok and Singapore, it’s also easy to fly straight into Da Nang for a beach holiday. Hai Chau District is the main commercial district of Da Nang. This is where you’ll find the city’s office buildings and shopping areas, as well as the majority of Da Nang’s mid-range and budget hotels. Connected with Hai Chau District by several bridges, Son Tra District faces out to the ocean and contains most of Da Nang’s luxury hotels and resorts. This is where you’ll find Da Nang’s iconic white sand beaches and beautiful clear water. Another seaside district, Nhu Hanh Son District has a long coastline along the South China Sea, with a selection of beachside resorts and hotels. This area of the peninsula contains several of the marble mountains for which Da Nang is famous. Widely known as “China Beach”, My Khe Beach stretched along Da Nang’s coastline, covering parts of Son Tra and Ngu Hanh Son districts. Rated as one of Vietnam’s best beaches, My Khe Beach is where you’ll want to stay if you’re visiting Da Nang for a beach-and-sunshine holiday. Da Nang has some of the best beaches of any Vietnamese City, some of which are accessible right from the city itself. My Khe Beach — also known as “China Beach” — is easily Da Nang’s most popular beach, offering clean water and great surfing right from the coast of the city. Lined with hotels and resorts, My Khe is the easiest of Da Nang’s beaches to access. You can find the usual umbrellas and deckchairs for rent along the beach, as well as surf board rental from shops like Gunnar and Thom’s. For a quieter beach experience, try heading further up the Son Tra Peninsula to explore some of Da Nang’s undiscovered beaches. Protected by a conservation order, the peninsula is home to a variety of gorgeous beaches that have been almost completely untouched by development. 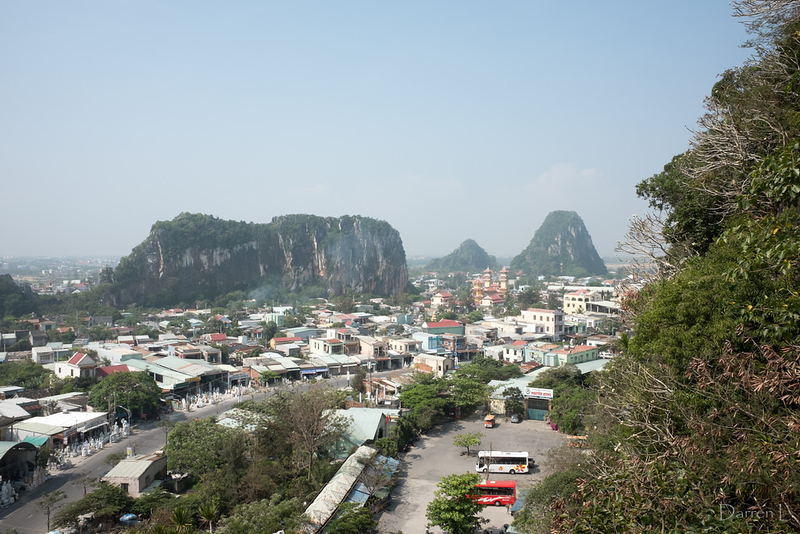 Da Nang is famous for its marble and limestone hills, dubbed the “Marble Mountains” by locals and guests alike. The five mountains, each of which represents an essential element, rise above Ngu Hanh Son District and offer great views of Da Nang and several impressive religious sites. Ba Na Hills is a hilltop theme park just outside of Da Nang. With a French village, hilltop castle, hedge maze and a variety of other attractions, the park is a great place for families with young children. Access is via cable car with a spectacular view of the surrounding area. Da Nang’s most popular market, Han Market, is a great place to shop for t-shirts, accessories and other small trinkets. It’s also home to a variety of street food stands. Worth a visit if you haven’t visited other markets in Hanoi or Ho Chi Minh City. One of many resorts on Da Nang’s huge stretch of beach, Fusion Maia Resort is a luxurious five star resort with a selection of private villas. Facilities here are excellent, with a big outdoor pool that directly overlooks the South China Sea. Rated as one of Vietnam’s top hotels in 2016, Naman Retreat Resort combines large rooms with some of the most spectacular facilities of any hotel in Da Nang. A great beachside option if your priorities are sun, sand and relaxation. Another luxurious five star hotel on My Khe Beach, Fusion Suites Danang Beach offers a variety of rooms and penthouses for guests. Facilities include a beachside pool, private spa and range of bars, restaurants and rooftop lounges. Located in Hai Chau District, Sanouva Danang Hotel is a modern four star hotel that’s close to Da Nang’s top commercial areas. While it’s quite a hike to the beach, this hotel’s large rooms, good prices and modern facilities make it a great mid-priced choice. Located just under two kilometres from My Khe Beach, Hadana Boutique Hotel offers a range of spacious and comfortable rooms. Facilities include an outdoor pool with views of downtown Da Nang and buffet/restaurant for guests. Just a few steps from Da Nang’s famous Dragon Bridge, Vanda Hotel is a conveniently located four star hotel with a selection of rooms and suites. One of the best options in Da Nang if you’re looking for modern, spacious rooms without a luxury price tag. Frangipani Boutique Hotel Da Nang is an inexpensive, comfortable hotel located less than 300 metres from Da Nang’s famous My Khe Beach. While rooms here aren’t particularly large, they offer comfort and cleanliness, as well as one of the best locations in the city. The Grand Sea View Hotel is, as you’d expect from its name, located right beside the beach. If you’re looking for a comfortable, clean and affordable hotel within walking distance of Da Nang’s most popular beach, this is one of the best options you’ll find. Another convenient option for visiting My Khe Beach, Mai Boutique Hotel is a small hotel with a variety of comfortable rooms and suites. While this hotel doesn’t have a swimming pool or spa, it does have a small garden that’s perfect for enjoying the warm seaside weather. Located inside the Intercontinental Sun Peninsula Resort, La Maison 1888 is one of Da Nang’s best French restaurants. Dishes here are expertly prepared and beautifully presented, with an excellent wine list to complement the wide variety of appetizers and mains on offer. Beach House is an international restaurant located inside the Hyatt Regency Da Nang. Seafood is a major speciality here, with a great variety of Vietnamese dishes that incorporate fresh locally caught fish, shrimp and other catches. There are several sushi restaurants in Da Nang, and SUSHI-Be is undoubtedly the best. Just a minute from the beach, SUSHI-Be serves fresh Japanese and American-style sushi that’s made using high quality ingredients. Located inside the Furama Resort in the commercial centre of Da Nang, Cafe Indochine serves fresh Vietnamese seafood. A great place to dine if you’re in the mood for fresh shellfish, lobster, scallops and other favourites. If you’re looking for tasty, satisfying budget eats, it’s hard to beat Banh Xeo Ba Duong. This local Vietnamese restaurant serves a wide variety of steamed, barbecued and fried local favourites in a small shophouse. Pho Viet Kieu specialises in one dish: pho. Famous for its excellent noodle soup, this restaurant offers a range of variations on Vietnam’s most well known dish, although you won’t find anything other than soup on the menu. Located close to the commercial centre of Da Nang, HiBou Coffee Shop is a great hangout and relaxation spot. The coffee here is fresh, the Wi-Fi is fast enough for happy browsing and there’s a good mix of breakfast and lunch options on the menu, including several vegan-friendly dishes. Da Nang is one of Vietnam’s easiest cities to access. Thanks to its international airport, it’s one of the most common destinations for both Vietnamese domestic flights and flights from nearby countries like Thailand. 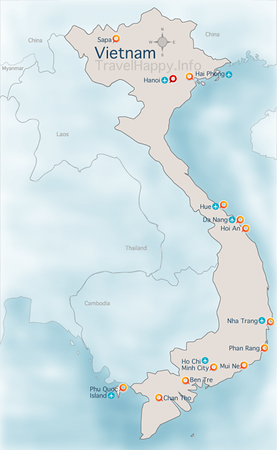 Da Nang also has a railway station, connecting it to major centres such as Ho Chi Minh City and Hanoi, as well as smaller destinations such as Hue and Nha Trang. Da Nang’s small but busy international airport connects the city with a variety of destinations in Vietnam and abroad. Flights are available several times every day from Hanoi and Ho Chi Minh City on Vietnam Airlines, Vietjet and JetStar Pacific. There are also flights to and from Da Nang from smaller destinations in Vietnam, such as Nha Trang, Hai Phong and Da Lat, although these are often infrequent. International flights to Da Nang depart from cities such as Bangkok, Kuala Lumpur, Singapore, Seoul, Taipei, Guangzhou, Shanghai and Tokyo. Da Nang’s train station sits on Vietnam’s Reunification Express railway, making it easy to get to the city from Hanoi or Ho Chi Minh City. As train travel in Vietnam is slow and unpredictable, it’s only worth travelling to Da Nang by train if you have a very flexible schedule. 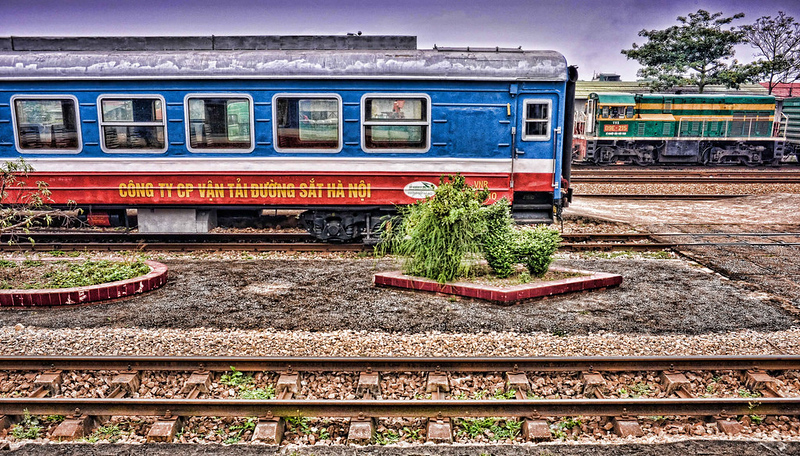 Expect to spend 20 hours or more onboard the train to reach Da Nang from Ho Chi Minh City, or slightly less from Hanoi. A more tolerable trip is the train journey from Hue, which takes around four hours and passes through some of Vietnam’s most picturesque countryside. Da Nang is connected to all of Vietnam’s major centres by bus, although road conditions and long distances mean you probably won’t want to travel to Da Nang from faraway cities such as Hanoi or Ho Chi Minh City. From Hanoi, the bus journey to Da Nang takes 14 to 15 hours and costs 380,000 dong from the Giap Bat Bus Station. From Ho Chi Minh City, the journey takes approximately the same amount of time and costs 400,000 dong per person. From Hoi An, it takes 45 minutes to one hour to reach Da Nang by bus. Buses leave from the main bus station on Nguyen Tat Thanh and cost 20,000 dong. Most public buses to Da Nang arrive at Da Nang Central Bus Station on Dien Bien Phu.